In the past week or so, Dudley has started chuffing around the bedroom in the middle of the night in order to wake me up so that I might get out of bed and serve him a carrot. I already wake up at least once on my own and give him a carrot and the opportunity to go outside. Then I usually feed him around 5:00- 6:00 a.m. and he gets half a carrot for dessert, so it’s not like he endures any long fast without a carrot. I stayed up for a little while Sunday morning after feeding him and went back to bed around 7:00 for a little snoozey. About 8:00 he chuffed, snorted and jingled his tags to be sure to wake me. He even bucked and stomped his paws. He really thought I was going to get out of bed and get him a carrot. With a disgusted harrumph, he settled down and I went back to sleep for another hour. I hope I have nipped this potential bad habit in the bud by ignoring his winsome pleas. He was so happy when I did get up, he flew like a young dog down the hallway through the living room into the kitchen and any annoyance I had about his interrupting my slumber disappeared as I had to laugh at him. Dudley is also a clean dog. When we were at Hidden Valley last week, I left him to get a bath and a trim. They have a new groomer whose name I have forgotten, but I honestly thought she was a student because she looks so young and she isn’t much bigger than Dudley. I think she did a great job shaping up Dudley’s coif. I have clippers and I try to keep his haunches trimmed, that’s where his fur is most coarse. The fur on his legs grows quickly but he never lets me trim all four legs before he’s had enough of me and leaves, so his sides are never even when I try and groom him myself. The picture above shows how neat and even his fur is, obviously done by someone who knew what she was doing (unlike me). I used to get him clipped down to a puppy cut in the summertime, but I haven’t done that in the past couple of summers because he doesn’t spend much time outside like he did a few years ago. I’ve always brushed Dudley frequently, it helps keep him clean and it gives me the opportunity to find any new growths that may have popped up. It’s also a nice bonding opportunity, Dudley loves to be brushed. But it’s also nice to get a professional wash and cut for him a few times a year. Dudley did very well during the wee hours of Monday, he didn’t try and wake me once. We didn’t even get up until about 6:30. But he was full of piss & vinegar after he had his breakfast, so we took an early walk in the chilly (but oh so refreshing) morning and he had a blast! 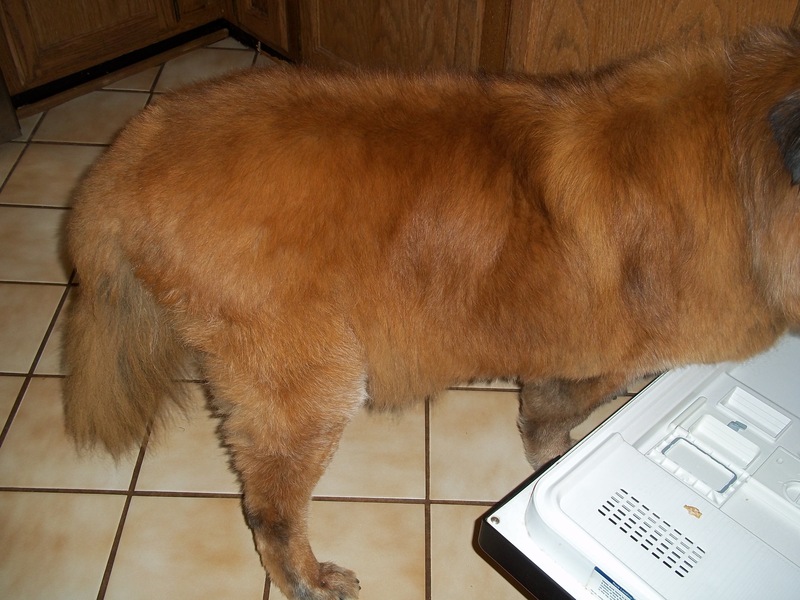 This entry was posted in Uncategorized and tagged animals, canine, dirty dishes, dogs, Dudley, grooming, Hidden Valley Animal Hospital, walking. Bookmark the permalink. When I first started reading this post, I thought Dudley was a rabbit! 🙂 I have never met a dog who loved carrots as much as Dudley seems to! Dudley loves carrots and they have fewer calories than store bought treats and they’re good for his teeth. 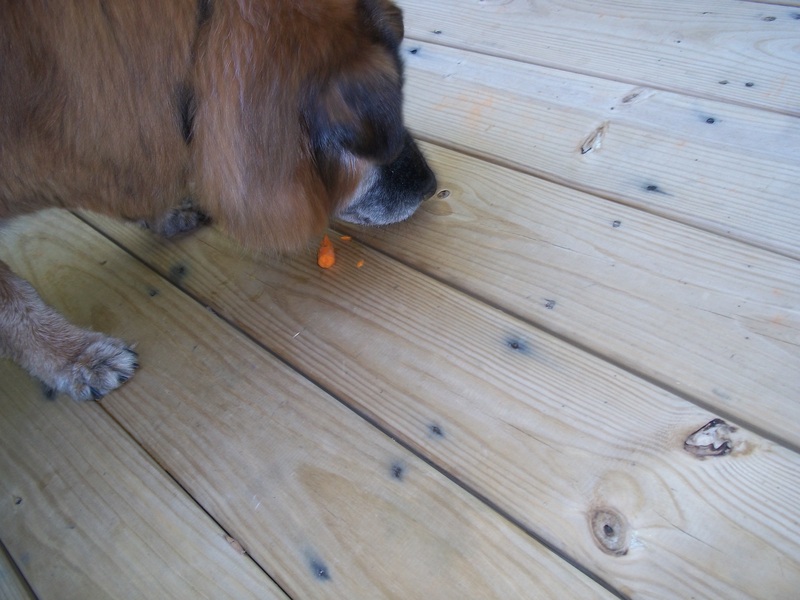 I had another dog (she died last year) who also loved carrots. I give my lot carrots from time to time, but they are not crazy about them!